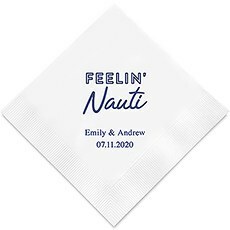 Whether serious or silly, these customized napkins will fit right in with any party theme. 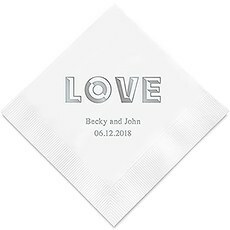 Capture the mood or complement the theme of any event with our selection of Popular Wording Personalized Napkins. 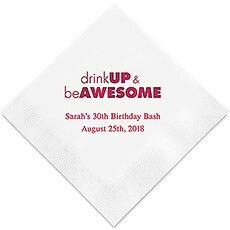 From sassy to cute to classic, our napkins add a unique touch to any celebration — without costing you a fortune. 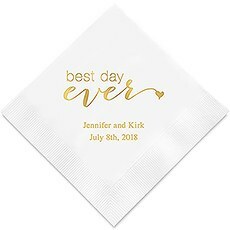 Our extensive selection provides you with plenty of options for weddings, bridal and baby showers, birthdays, graduations, ringing in the New Year and lots of other celebratory occasions. 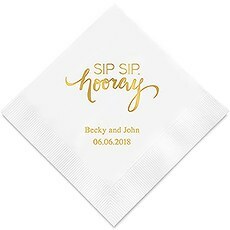 Have some fun with your wording and share sides of your personality with your guests. 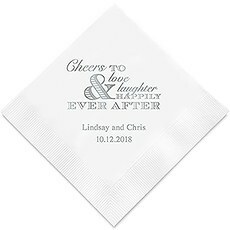 Just a tiny sampling of our popular sayings includes, "The Adventure Begins," "And They Lived Happily Ever After" and "Cheers." 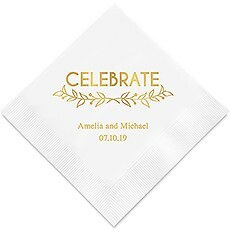 Are you the one who is throwing a party for someone? 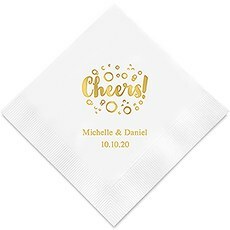 Choose sayings that best describe the guest of honor, such as "Hello Beautiful," "Yay You" and "Hey Handsome. "Our napkins are available in your choice of cocktail, luncheon and dinner size. 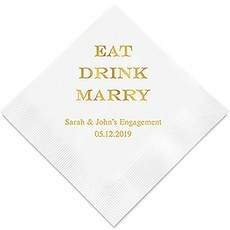 Select one, two or all three sizes. 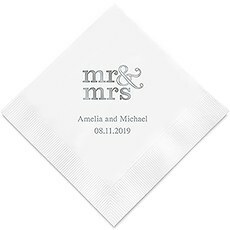 We give you plenty of flexibility when it comes to personalizing your napkins — down to the napkin color and print color. 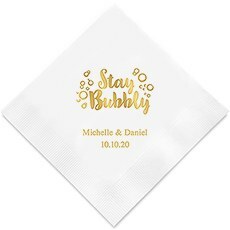 With dozens of light to dark hues available, you will be able to complement your color scheme. 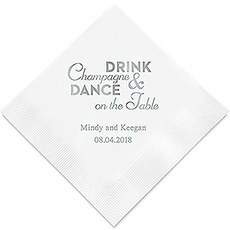 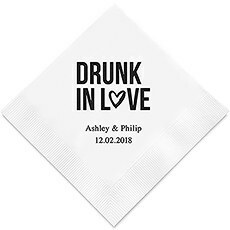 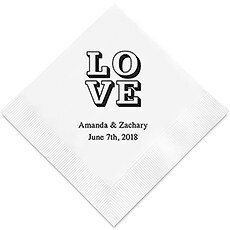 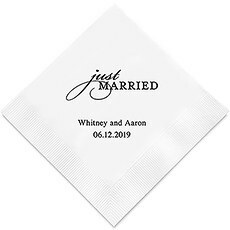 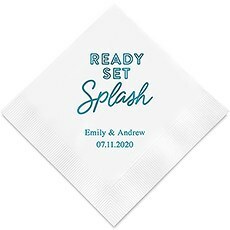 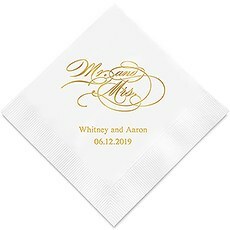 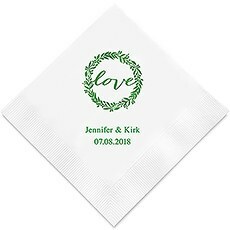 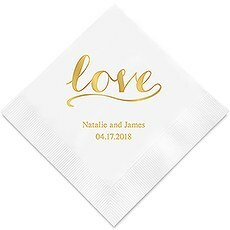 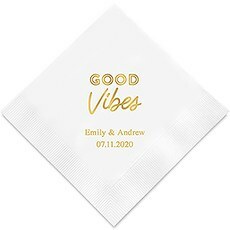 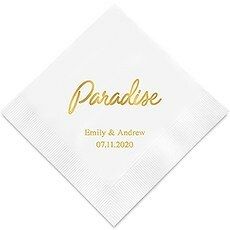 You can also personalize your napkins further by adding a name or names and the date of the event.The possibilities are endless when it comes to personalizing your trendy wedding napkins. 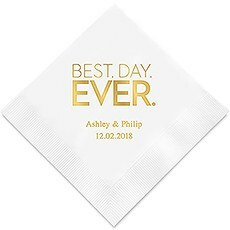 In addition to choosing one saying to have printed on all your napkins, you can choose to have a different saying printed on each of the different napkins. For example, print the words "Eat Drink and Be Married" on your cocktail napkins for guests to use during cocktails; "Mr & Mrs on your dinner napkins and "A Treat for You" on your dessert napkins.Affordable, quality-made and fun, our popular wording customized napkins will be the talk of the party.